PLEASE READ THIS DOCUMENT CAREFULLY BEFORE ACCESSING OR USING HORSERACINGOFFICIALS.COM. 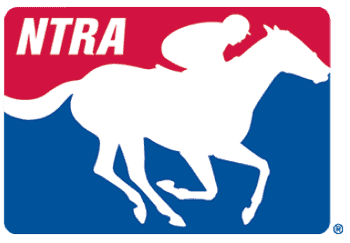 BY ACCESSING OR USING HORSERACINGOFFICIALS.COM (THE “WEBSITE”), YOU AGREE TO BE BOUND BY THE TERMS AND CONDITIONS OF USE (“TERMS”) SET FORTH BELOW. IF YOU DO NOT WISH TO BE BOUND BY THESE TERMS, YOU MAY NOT ACCESS OR USE THE WEBSITE. RACING OFFICIALS ACCREDITATION PROGRAM (“ROAP”) MAY MODIFY THIS AGREEMENT AT ANY TIME, AND SUCH MODIFICATIONS SHALL BE EFFECTIVE IMMEDIATELY UPON POSTING OF THE MODIFIED AGREEMENT ON THE WEBSITE. YOU AGREE TO REVIEW THE AGREEMENT PERIODICALLY TO BE AWARE OF SUCH MODIFICATIONS AND YOUR CONTINUED ACCESS OR USE OF THE WEBSITE SHALL BE DEEMED YOUR CONCLUSIVE ACCEPTANCE OF THE MODIFIED VERSION OF THESE TERMS. 1.1 ROAP provides you with the information and materials on the Website subject to your agreement with these Terms and Conditions of Use. There Terms apply to the Website and the information and services provided via the Website. As noted above, ROAP may change these Terms and Conditions of Use from time to time without providing you with notification of any such changes. You can always obtain the most current version of these Terms and Conditions of Use by clicking on the “Terms and Conditions” link located on the bottom of the page located at horseracingofficials.com. Additionally, when using any particular service or accessing information on the Website, you may be subject to special guidelines or rules posted in connection with any such service; all such guidelines or rules are hereby incorporated by reference into these Terms. 1.2 You understand that, except for information, products or services clearly identified as being supplied by ROAP, ROAP does not operate, control or endorse any information, products or services on the Website in any way. Except for information, products or services that are identified as being provided by ROAP, all information, products and services made available through the Website or on the Internet generally are offered by third parties. You also understand that ROAP cannot and does not guarantee or warrant that files available for downloading through the Website will be free of infection or viruses, worms, Trojan horses, spyware or other code that manifest contaminating or destructive properties. You are responsible for implementing sufficient procedures and checkpoints to protect your technology systems and to satisfy your particular requirements for accuracy of data. 1.3 ROAP provides the capability to search and display Website registrants who have agreed to be identified on the Website. Use of this service for reasons other than as necessary for the conduct of racing official-related business with Racing Officials Accreditation Program is strictly prohibited and shall be considered a material breach of these Terms and Conditions of Use. ROAP explicitly disclaims any responsibility for the content or availability of information contained in ROAP’s search indexes or directories. ROAP also disclaims any responsibility for the completeness or accuracy of any directory or search result. (o) Otherwise violate the limited scope of permission expressly granted in these Terms. 1.5 ROAP may, from time to time, audit the activities of users of the Website to detect patterns of abuse and non-compliance with these Terms and ROAP has the right to suspend or terminate your use of the Website and refuse to you any and all current or future use of the Website if, in the sole judgment of ROAP (and without notice to you), such abuse or non-compliance with these Terms is detected. 2.2 If you provide any information that is known to you to be untrue, inaccurate, incomplete, or outdated or if ROAP has reasonable grounds to suspect that such information is untrue, inaccurate, incomplete, or outdated or if you are otherwise in material breach of these Terms and Conditions of Use ROAP has the right to suspend or terminate your use of the Website and refuse to you any and all current or future use of the Website. 2.4 You agree that ROAP, in its sole and absolute discretion, may terminate your username and/or password at any time and for any reason, including, without limitation, for lack of use or if ROAP believes that you have violated or acted inconsistently with the letter or spirit of these Terms. 2.5 ROAP cannot and will not be liable for any loss or damage arising from your failure to comply with Subsection 2.3. 2.6 Your username and password may be stored in a cookie on your personal computer. Any functionality of your browser that permits usernames and/or passwords to be auto-completed or automatically retained should be rendered inactive when accessing horseracingofficials.com. Recognizing the global nature of the Internet, you agree to comply with all applicable laws, regulations and rules, including, without limitation, rules about the Internet and/or your use of the Internet, data, email, and privacy. Notwithstanding the foregoing, you may print and download material from the different areas of the Website for your own personal use. Your participation, correspondence or business dealings with third parties, including but not limited to advertisers, or participation in promotions of third parties found on or through the Website, including payment and delivery of related goods or services, and any other terms, conditions, warranties or representations associated with such dealings, are solely between you and such third parties. You agree that ROAP shall not be responsible or liable for any loss or damage of any sort incurred as the result of any such dealings or as the result of the presence of such third parties on horseracingofficials.com. The Website may provide, or third parties may provide, links to other Internet sites or resources. Because ROAP has no control over such sites and resources, you acknowledge and agree that ROAP is not responsible for the availability of such external sites or resources, and you acknowledge that ROAP does not endorse and is not responsible or liable for any content, advertising, products, or other materials on or available from such sites or resources. You further acknowledge and agree that ROAP shall not be responsible or liable, directly or indirectly, for any damage or loss caused or alleged to be caused by or in connection with use of or reliance on any such content, goods or services available on or through any such site or resource. 8.1 You acknowledge and agree that the Website and any necessary software used in connection therewith ("Software") contain proprietary and confidential materials and information that are protected by applicable intellectual property and other laws. You further acknowledge and agree that information contained in sponsor advertisements or information presented to you through the Website or its advertisers is or may be protected by copyrights, trademarks, service marks, patents or other proprietary rights and laws. Except as expressly authorized by ROAP or advertisers, you agree not to reproduce, modify, rent, display, lease, loan, sell, distribute or create derivative works based on the Website or the Software, in whole or in part. 8.2 ROAP grants to you a personal, non-transferable, non-exclusive and terminable right and license to use the object code of its Software on a single computer; provided that you do not (and do not allow any third party to) copy, modify, create a derivative work of, reverse engineer, reverse assemble or otherwise attempt to discover any source code, sell, assign, sublicense, grant a security interest in or otherwise transfer any right in the Software. You agree not to modify the Software in any manner or form, or to use modified versions of the Software, including (without limitation) for the purpose of obtaining unauthorized access to horseracingofficials.com. You agree not to access horseracingofficials.com by any means other than through the interface that is provided by ROAP for use in accessing horseracingofficials.com. 8.3 You agree to grant to ROAP a non-exclusive, royalty-free, worldwide, sub licensable, perpetual license, with the right to sub-license, to reproduce, modify, distribute, transmit, create derivative works of, publicly display and publicly perform any materials and other information (including, without limitation, ideas contained therein for new or improved products and services) you submit to or through the Website or by e-mail to ROAP by all means and in any medium now known or hereafter developed. You agree that you shall have no recourse against ROAP for any alleged or actual infringement or misappropriation of any proprietary right in your communications to ROAP. 9.1 You understand that by using the Website, you are agreeing that ROAP will not, under any circumstances, be liable in any way for any information contained therein, including, but not limited to, for any errors or omissions in the information, or for any loss or damage of any kind incurred as a result of the use of any information contained therein. 9.2 ROAP and its licensors shall not be responsible or liable for the accuracy, usefulness or availability of any information transmitted or made available via the Website, either directly or indirectly, and shall not be responsible or liable for decisions made based on such information. 9.3 You acknowledge that ROAP is not responsible for notifying you of any upgrades, fixes or enhancements to horseracingofficials.com or for any compromise or loss of data transmitted across computer networks or telecommunications facilities, including, but not limited to, the Internet. 9.4 YOU EXPRESSLY UNDERSTAND AND AGREE THAT ROAP SHALL NOT BE LIABLE FOR ANY DIRECT, INDIRECT, INCIDENTAL, SPECIAL, CONSEQUENTIAL OR EXEMPLARY DAMAGES, INCLUDING BUT NOT LIMITED TO, DAMAGES FOR LOSS OF PROFITS, GOODWILL, USE, DATA, OR OTHER LOSSES (EVEN IF ROAP HAS BEEN ADVISED OF THE POSSIBILITY OF SUCH DAMAGES), RESULTING FROM: (i) THE USE OR THE INABILITY TO USE THE WEBSITE; (ii) THE COST OF PROCUREMENT OF SUBSTITUTE GOODS AND SERVICES RESULTING FROM ANY GOODS, DATA, INFORMATION OR SERVICES PURCHASED OR OBTAINED OR MESSAGES RECEIVED OR TRANSACTIONS ENTERED INTO THROUGH OR FROM THE WEBSITE; (iii) UNAUTHORIZED ACCESS TO OR ALTERATION OF YOUR TRANSMISSIONS OR DATA; (iv) STATEMENTS OR CONDUCT OF ANY THIRD PARTY ON THE WEBSITE; OR (v) ANY OTHER MATTER RELATING TO THE WEBSITE AND/OR YOUR USE OF THE WEBSITE. THE LIMITATIONS OF LIABILITY SET FORTH IN THIS SECTION AND ELSEWHERE IN THIS AGREEMENT SHALL APPLY NOTWITHSTANDING ANY FAILURE OF ESSENTIAL PURPOSE OF ANY LIMITED REMEDY. 9.5 You agree to indemnify, defend and hold ROAP, and its subsidiaries, affiliates, officers, agents, co-branders or other partners, volunteers and employees, harmless from any claim or demand, including reasonable attorneys' fees, made by any third party due to or arising out of (a) your use of the Website, (b) your connection to the Website, (c) your violation of these Terms, or (d) your violation of any rights of another. 9.6 ROAP shall, at its sole option, have the right to reprocess information to correct any errors of which it is or becomes aware. (a) YOUR USE OF THE WEBSITE IS AT YOUR SOLE RISK. THE WEBSITE IS PROVIDED TO YOU ON AN "AS IS" AND "AS AVAILABLE" BASIS. ROAP EXPRESSLY DISCLAIMS ALL WARRANTIES OF ANY KIND, EXPRESS OR IMPLIED, INCLUDING, BUT NOT LIMITED TO IMPLIED WARRANTIES OF MERCHANTABILITY, FITNESS FOR A PARTICULAR PURPOSE AND NON-INFRINGEMENT. (b) ROAP MAKES NO REPRESENTATIONS OR WARRANTIES THAT (i) THE WEBSITE WILL MEET YOUR REQUIREMENTS, (ii) ACCESS TO OR USE OF THE WEBSITE WILL BE UNINTERRUPTED, TIMELY, SECURE, OR ERROR-FREE, (iii) THE RESULTS THAT MAY BE OBTAINED FROM THE USE OF THE WEBSITE WILL BE ACCURATE OR RELIABLE, (iv) THE QUALITY OF ANY PRODUCTS, SERVICES, INFORMATION, OR OTHER MATERIAL PURCHASED OR OBTAINED BY YOU THROUGH THE WEBSITE WILL MEET YOUR EXPECTATIONS, AND (V) ANY ERRORS IN THE SOFTWARE WILL BE CORRECTED. (c) ANY MATERIAL DOWNLOADED OR OTHERWISE OBTAINED THROUGH THE WEBSITE IS AT YOUR OWN RISK AND YOU WILL BE SOLELY RESPONSIBLE FOR ANY DAMAGE TO YOUR COMPUTER SYSTEM OR ANY LOSS OF DATA THAT RESULTS FROM THE DOWNLOAD OF ANY SUCH MATERIAL. (d) NO ADVICE OR INFORMATION, WHETHER ORAL OR WRITTEN, OBTAINED BY YOU FROM ROAP OR THROUGH OR FROM THE WEBSITE SHALL CREATE ANY WARRANTY NOT EXPRESSLY STATED IN THESE TERMS AND CONDITIONS OF USE. Notices to you may be made via email. ROAP may also provide notices of changes to these Terms or other matters by displaying notices or links to notices to you generally on the Website. The ROAP logos and other product and service names are trademarks of Racing Officials Accreditation Program ("ROAP Marks"). Without ROAP’s prior permission, you agree not to display or use in any manner, the ROAP Marks. 14.1 These Terms constitute the entire agreement between you and ROAP with respect to the subject matter covered herein and govern your use of the Website superseding any prior agreements between you and ROAP with respect thereto. You also may be subject to additional terms and conditions that may apply when you use affiliate services, third-party content or third-party software. These Terms and the relationship between you and ROAP shall be governed by the laws of the Commonwealth of Kentucky without regard to the conflicts of laws rules thereof. You and ROAP agree to submit to the personal and exclusive jurisdiction of the courts located within the county of Fayette, in the State of Kentucky. 14.2 ROAP reserves the right to release current or past user information if ROAP believes that a user’s account is being used to commit unlawful acts, if the information is subpoenaed and/or if ROAP deems it necessary and/or appropriate. 14.3 The failure of ROAP to exercise or enforce any right or provision of these Terms shall not constitute a waiver of such right or provision. 14.4 If any provision of these Terms is found by a court of competent jurisdiction to be invalid, the parties nevertheless agree that the court should endeavor to give effect to the parties' intentions as reflected in the provision, and the other provisions of these Terms remain in full force and effect. 14.5 You agree that regardless of any statute or law to the contrary, any claim or cause of action arising out of or related to use of horseracingofficials.com or these Terms and Conditions of Use must be filed within one year after such claim or cause of action arose or be forever barred. 14.6 The section titles in these Terms and Conditions of Use are for convenience only and have no legal or contractual effect. 14.7 The provisions of the following sections shall survive the termination of this agreement: 5, 9, 11, 12 and 14.